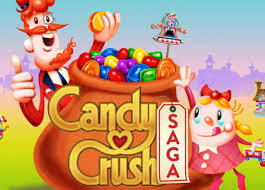 The one puzzle game that entered the standards of the puzzle and was loved by almost everyone in 2006 was Candy Crush. If you are here in 2016 then there is no chance that you have not played that game at least once. Even children of all ages starting from 5 years loved playing this game since it was simple and interesting as well. Candy crush has been one of the most popular free puzzle game for not only android but iOS lovers as well. It even became one of the most addictive games of all time specially for puzzle lovers. But then there was only one problem that it was not compatible with phones that consisted of ARMv6 processor. So this became a reason for many people who had ARMv6 processors in their devices didn’t get to play this lovely game. So today here we bring you some great games that are almost like candy crush but with many interesting features that might lure you to play and also they are compatible with ARMv6 processor too. As the name depicts this puzzle game is all about connecting Dots as you can see in the image below. 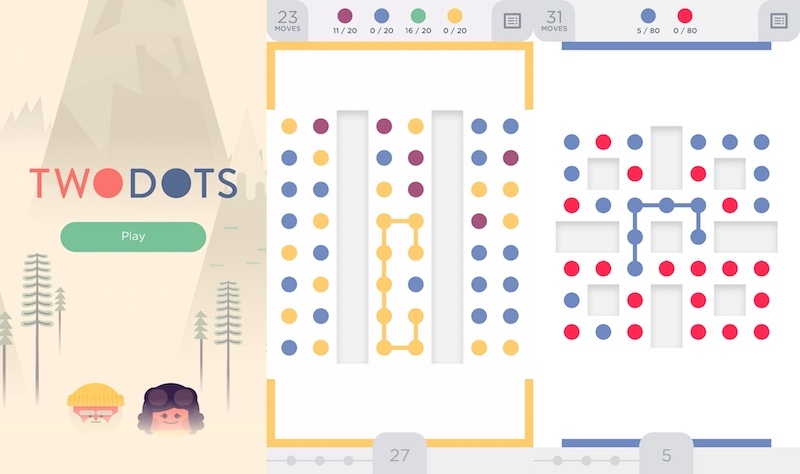 TwoDots is a highly popular game about connecting dots together. This game brings an excitement to whole new level since the gamers are required to connect dots and earn points. This game contains over 500 levels each with some mission to complete which makes it completely attractive for gamers to come back and play it.You can also play for daily objectives and climb leaderboards. The objectives in each level are different but the aim remains same and that is connecting dots but under different conditions which can be like giving a certain number of moves. With every increasing level, you will get fewer moves and more dots to connect together. If you love minimalism then this is quite a good game for you to add to your puzzle list. If you are up to get challenged then all you need to do is complete the requirement of each level before moving on to the next. 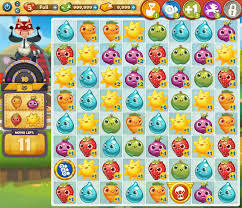 Farm Heros Saga is also a puzzle game like Candy Crush Saga. It cost nothing but is completely free available in your AppStore or play store. This game is also developed by King the same who have developed Candy Crush. So even if you are bored playing same candy crush again and again then just drop it. Because its developers have created something more fun and enjoyable for you with an amazing story to compliment the overall love for the puzzle. Here your role comes as a farmer who has to match crops of the same color and also collect them once you get them matched. The Amazing part of this story is that there is a rancid raccoon who is trying to destroy your crops so your role as a farmer is to save your crops by matching same crops as many possible before the raccoon destroys them. With over 400 of levels, you need to clear each level which will contain a mission regarding crop collection. With each increasing level, you have to collect a maximum number of crops given a limited number of moves so save your crops from a raccoon. For a glorious match three-action, this is the best classic game which has inspired games like candy crush saga.If we talk about best match-3 mechanics for any puzzle game then this game is best in this category. Bejeweled is the very classic match-3 clones gameplay that everyone loves. With its new classic version, you can enjoy 7 different game modes which will make you go crazy for it. Each mode has different levels and features as well. 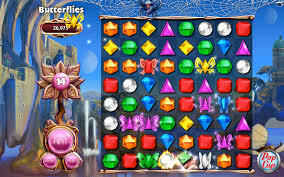 Bejeweled classic is a very amazing staple puzzle game for almost all devices which applies to iOS especially. You can opt for hectic as well as relaxing game modes which consist of saving butterflies from spider, match for gold, or enjoy hectic modes if you are serious puzzle lover. Some of its original features like electrical gems, burning gems makes it quite amazing to spend at least an hour a day on it. To increase the level , if you are more fast paced then try time mode in which you are given limited time to match the gems and complete the match process before the time runs out. Since candy crush is losing its popularity continuously over time it is great to see that cookie jam gaining some escalating heights over time. Cookie Jam has invested a lot in its marketing if you have already seen its adds you must have realized it was no joke or cheap while their adds were costly and great too. 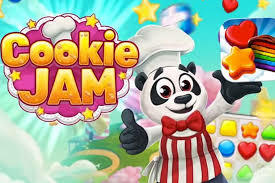 The developers of cookie jam have worked hard towards finding the success ingredient for candy crush and cunningly replicated it to cookie jam too. So if you are ready for some delicious treat then this one is the best for you with colored sweet and glorious cookies. At a very first glance, it looks more like candy crush but your opinion will change once you get to play it. Since both the games have laid emphasis on colored graphics it makes them look a lot like. This games also involves shuffling of desserts to match at least three with the same color and once matched you can collect those cookies to earn points. Cookie Jam contains over 1000 levels which might want to repel you but still over time you should give it a try. Match at least 3 or more cookies before they crumble. With increasing levels come the limited moves which are same for almost all puzzle games to increase the complexity of levels and get the gamer more interested and spent hours on clearing levels. While solving puzzles with cookie jam you can also collect ingredients which will be used further to fill up recipes. 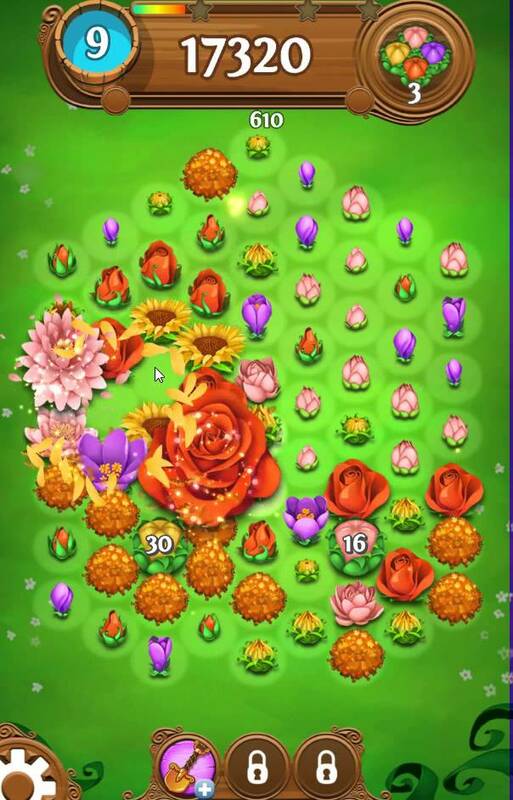 Blossom Blast Saga is recently released puzzle game from King. King is also the creator of candy crush. With not much of any kind marketing, it is already escalating in a number of downloads and rating too. The appearance is same is candy crush but the blocks have been ditched and also it includes no more shuffling. This is new for match-3 clones puzzles. Since there are no shuffling included it makes this game a bit unique on its own but also more challenging since to find the longest match you need more time. If you love the colorful flowers then you are absolutely going to love this game too. With very simple and yet amazing appearance it steals the show. Not only it brings uniqueness but also a refresh divergence to monotonous puzzle games. It contains more than 400 levels and all are in increasing order of complexity. If you match the longest match chain of flowers then it creates a blast which doubles your points since the nearby flowers, too get collected. Mostly challenges come across with blooming the buds by connecting a maximum number of flowers for bud and also eliminating weeds. The game gets interesting at each and every level followed by some additional power given. Since every increasing level limits the number of moves this feature makes it look like candy crush. But if you are bored playing candy crush then this is a great alternative. Since it is mainly impossible to get the magic of candy crush captured exactly it is still more amazing to try some other games too which are almost like candy crush too. If you are already done playing candy crush and still want to go for puzzle games which are free and also similar ti candy crush then we have already given the list above which will make you go crazy for such match-3 clone puzzle games. Games like Bejeweled with the interesting and amazing story are capable of stealing hours from your schedule. Also, classic two dot games will increase your love towards puzzle with minimalism and great simplicity. Whereas games like cookie jam and farm heroes saga are great for food type puzzle lovers sine they capture the magical essence of candy crush perfectly.